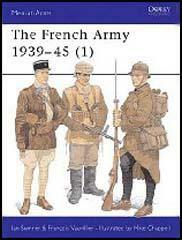 In 1939 the French Army had 900,000 regular soldiers. However, it another 5 million men who had been trained and could be called-up in time of war. After war was declared the vast majority of the army, 100 divisions, were stationed on the frontier facing Germany. Most members of the army were in the infantry. The first armoured divisions had just been formed and the first three were ready in the spring of 1940. The French placed great faith in the Maginot Line, a line of concrete and steel defences that stretched between Luxembourg and Switzerland along France's border with Germany. It had three interdependent fortified belts with anti-tank emplacements and pillboxes standing in front of bombproof artillery casements. However, when Adolf Hitler ordered the Western Offensive in the spring of 1940, the German Army invaded France through the heavily wooded and semi-mountainous area of the Ardennes, an area, north of the Maginot Line. The French military had wrongly believed that the Ardennes was impassable to tanks. Seven panzer divisions led by Heinz Guderian and Erwin Rommel reached the Meuse River at Dinant on 12th May and the following day the French government was forced to abandon Paris. German forces led by Paul von Kliest, Erwin Rommel, Heinz Guderian and Gerd von Rundstedt advanced towards the Channel. Except for a counterattack by 4th Armoured Division led by Charles De Gaulle, at Montcornet (17th May) and Laon (27th-29th May) the German forces encountered very little resistance. Winston Churchill now ordered the implementation of Operation Dynamo, a plan to evacuate of troops and equipment from the French port of Dunkirk, that had been drawn up by General John Gort, the Commander in Chief of the British Expeditionary Force (BEF). Between 27th May and 4th June, 1940, a total of 693 ships brought back 338,226 people back to Britain. Of these 140,000 were members of the French Army. Although General Maxime Weygand was now seventy-three years old, prime minister Paul Reynaud appointed him as Allied commander in chief on 17th May 1940. He devised what became known as the Weygand Plan. This involved General Gaston Billotte and the 1st French Army Group attacking the German Army at Cambrai while General John Gort and the British Expeditionary Force (BEF) attempted to link up around Bapaume. When the Germans continued to advance Weyland regrouped his forces south of the Somme. Now clearly outnumbered, the French Army was forced to withdraw to the Loire. He held his position until 5th June when his troops tried to get to the port of Dunkirk. The Germans occupied Paris on 14th June and two days later, Paul Reynaud, the French prime minister, was replaced by Henri-Philippe Petain, who quickly accepted German peace terms.He held his position until 5th June when his troops were forced to withdraw towards the port of Dunkirk. The Germans occupied Paris on 14th June and two days later, Paul Reynaud, the French prime minister, was replaced by Henri-Philippe Petain, who quickly accepted German peace terms. Under the terms of the armistice northern France and the regions north of Vichy came under German occupation. The French government, led by Henri-Philippe Petain, moved to Vichy and remained at liberty along with the French Navy and an army of 100,000 men. During the defence of France nearly 2 million French soldiers were taken prisoner. An estimated 390,000 soldiers were killed defending France whereas around 35,000 German soldiers had lost their lives during the invasion. After Henri-Philippe Petain signed the armistice on 22nd June, 1942, the French Army was disbanded except for a force of 100,000 men to maintain domestic order. The 1.5 million French soldiers captured by the Germans were to remain prisoners of war. The colonial army in North Africa was allowed to remain and was expected to protect the area from any attacks by Allied forces. After putting up a brief resistance to the Allied landings in November 1942, Jean-Francois Darlan surrendered. What was left of this army then fought with the Free French Army in Tunisia and Europe. By the evening (28th May, 1940) the objective was reached. Only Mont Caubert still held out. There were a great many dead from both sides on the field. Our tanks had been sorely tried. Barely a hundred were still in working order. But all the same, an atmosphere of victory hovered over the battlefield. Everyone held his head high. The wounded were smiling. The guns fired gaily. Before us, in a pitched battle, the Germans had retired. (2) In his diary George VI recorded his thoughts on the German invasion of France. 23rd May, 1940: Baron Newall (Marshall of the Royal Air Force) came in the evening. He had just left a Chiefs of Staff meeting with the Prime Minister and he told me that the situation in France was critical. Viscount Gort (commander of the British Expeditionary Force in France) had sent a message to say that he was short of food and ammunition. Owing to the rapid advance of the German tanks and motored divisions, his lines of communication had been cut through Amiens, and food had to be sent to France from here by air. German tanks had reached Boulogne, and had captured a fort above the town and were shelling the harbour. Newall was sorry to come with such a gloomy account and said that the French command must have "gone to seed" behind the Maginot Line. This news was so worrying that I sent a message to Winston asking him to to come and see me after dinner. The Prime Minister came at 10.30 p.m. He told me that if the French plan made out by Maxine Weygand (French military commander) did not come off, he would have to order the British Expeditionary Force back to England. This operation would mean the loss of all guns, tanks, ammunition and all stores in France. The question was whether we could get the troops back from Calais and Dunkirk. The very thought of having to order this movement is appalling, as the loss of life will probably be immense. 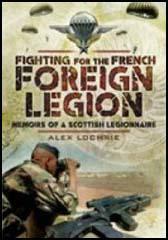 I believe he (Winston Churchill) always greatly overestimated the value of the French Army. That Army under Gamelin was useless in 1939, and I do not believe it would have been so much better in 1938 that it could have "rolled forward across the Rhine and into the Ruhr" even against the relatively weak German opposition at the time of Munich. (4) Erwin Rommel, led the 7th Panzer Division that broke through French defences in May, 1940. The way to the west was now open. The moon was up and for the time being we could expect no real darkness. I had already given orders, in the plan for the breakthrough, for the leading tanks to scatter the road and verges with machine and antitank gunfire at intervals during the drive to Avesnes, which I hoped would prevent the enemy from laying mines. The tanks now rolled in a long column through the line of fortifications and on towards the first houses, which had been set alight by our fire. Occasionally an enemy machine-gun or antitank gun fired, but none of their shots came anywhere near us. Troops lay bivouacked beside the road, military vehicles stood parked in farmyards and in some places on the road itself. Civilians and French troops, their faces distorted with terror, lay huddled in the ditches, alongside hedges and in every hollow beside the road. We passed refugee columns, the carts abandoned by their owners, who had fled in panic into the fields. On we went, at a steady speed, toward our objective. Every so often a quick glance at the map by a shaded light and a short wireless message to Divisional HQ to report the position and thus the success of 25th Panzer Regiment. Every so often a look out of the hatch to assure myself that there was still no resistance and the contact was being maintained to the rear. The flat countryside lay spread out around us under the cold light of the moon. We were through the Maginot Line! It was hardly conceivable. Twenty-two years before we had stood for four and a half years before this selfsame enemy and had won victory after victory and yet finally lost the war. And now we had broken through the renowned Maginot Line and were driving deep into enemy territory.